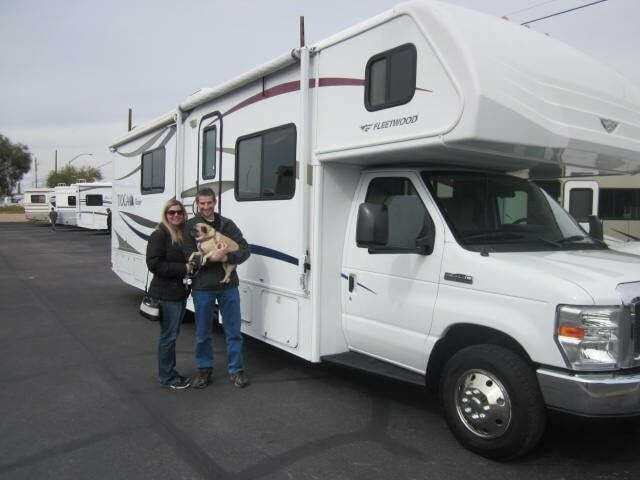 It really didn’t take us long to actually purchase the RV once we knew what we wanted. We searched online and began to get an idea about how much we’d be spending. We found some newer models, great condition, but with a higher price tag. We found some that weren’t as expensive, but needed a lot of work or TLC. We finally found one that seemed “just right”… think three little bears scenario here! It was located in Las Vegas, Nevada which meant we’d be driving 5.5 hours to look at it. This is really important because to find a great deal you sometimes have to look outside your surrounding area. We wanted to ensure that it was exactly as the listing said it was. We emailed and talked on the phone with the saleswoman several times before making a deposit. Saturday morning, end of February 2016, we packed up a change of clothes, some food, and the dog. 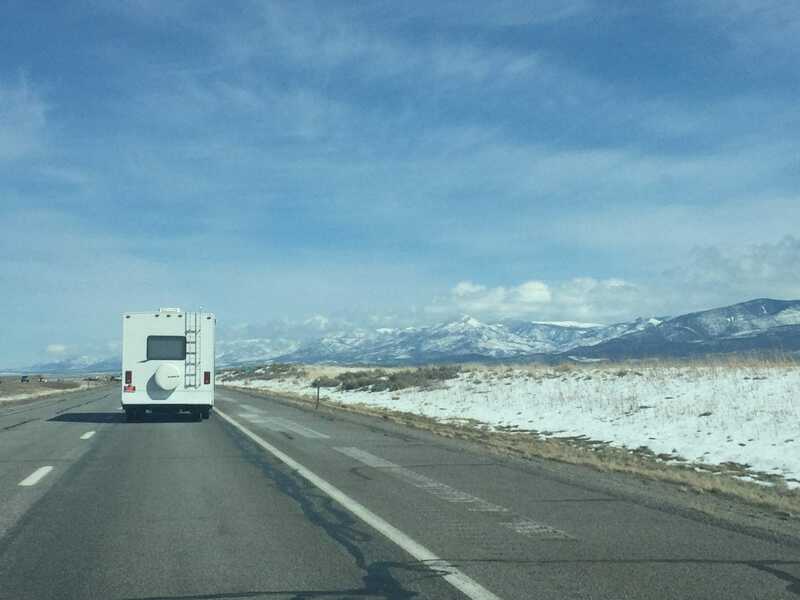 We were anxious to see the RV, but were also able to enjoy in the areas of Utah we were passing through that we hadn’t explored yet. We left in the morning, stopped for an early lunch, and made it to the RV lot by 1:00pm. The RV was just as we thought it would be!!! What a relief! It took a few hours before it became ours. The people at El Monte Rv were very friendly and accommodating. Their maintenance team did a final check on the RV, filled it with gas, and welcomed us to our new adventure on wheels. 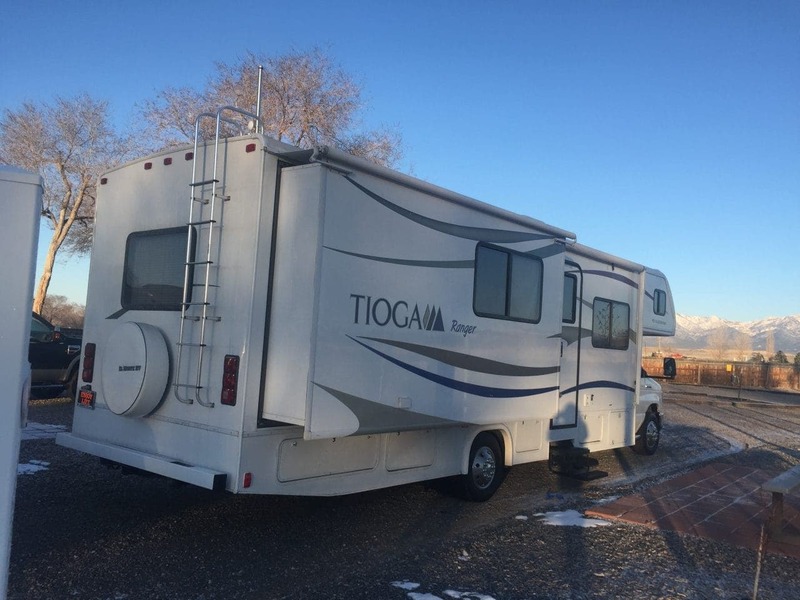 We had booked a campsite at the KOA in Beaver, UT for the way home and were thrilled to spend our first night in the RV. As I mentioned, it was February. It was cooler at our house and the further south we drove the warmer it got. Beautiful day for driving and admiring the landscape. As we headed back north, it got cooler as the sun set. Before we knew it, it began to snow. By the time we reached our campground, there was about a half inch of snow on the ground. We were only stopping for the night to get some sleep so it was fun camping in the snow for the first time (most of the snow melted by morning). We enjoyed a good night of sleep, grabbed some breakfast and headed home. It was nice to get a small taste of what it would be like in the RV without actually loading it full of supplies and planning a trip. This gave us time to just sit in it and start the planning what we needed. Since we were planning to do a lot of traveling in Utah, Colorado, Arizona, etc a jeep would suit us well. Driving through the national parks with the top down sounds perfect to us! We wanted something reliable, but not too nice. 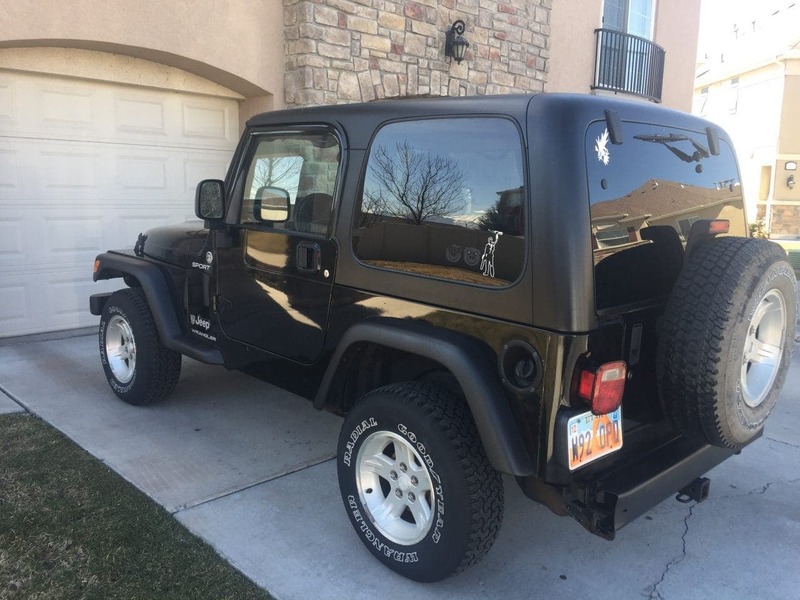 We found a great 2006 Jeep Wrangler. It’s got a couple dings and dents, but that’s just fine with us. We don’t want to be too worried about it while we’re back roading. 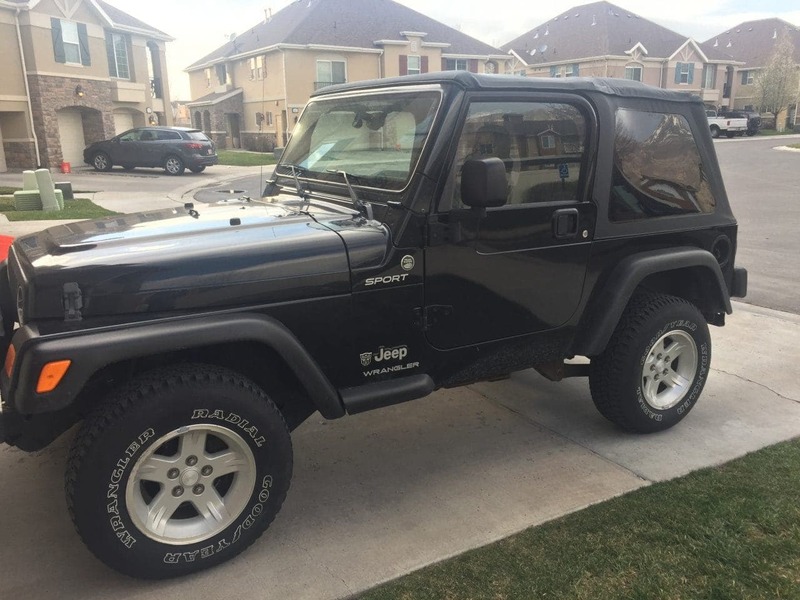 We did buy a soft top for it and new carpet. We also replaced the bumper to accommodate towing.